There has been some positive success on the ongoing problem of access to EEG, VT and neurophysiology services for people with epilepsy around Scotland. Patients in NHS Lothian were experiencing an 18-month patient wait for video-telemetry due to the loss of beds and staff resource. Following our CPG meetings on neurophysiology and dialogue with the Minister, plus the efforts of clinicians, NHS Lothian reopened the two VT beds in October, with additional nursing staff. They also awarded £32,000 to the neurophysiology department to purchase home VT equipment. The waiting list initially dropped from 18 months to 7 months, with further improvement anticipated when the service moves hospital in the coming months. 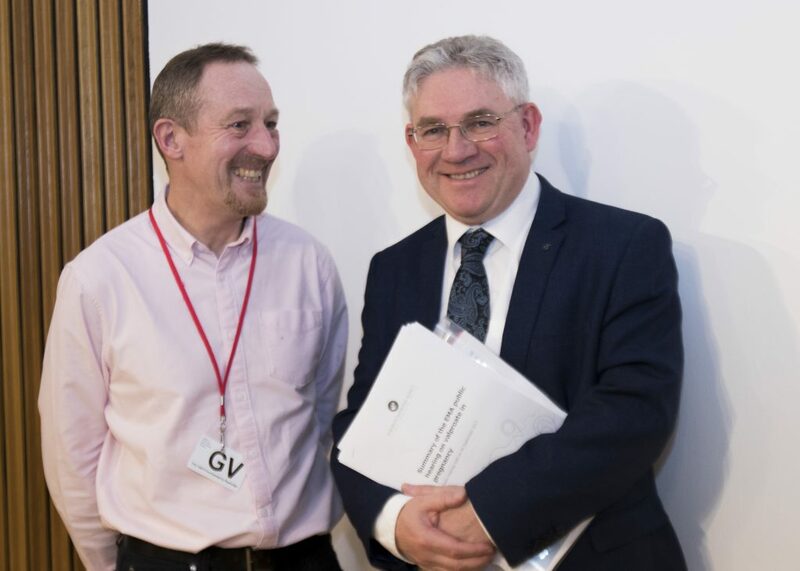 Also thanks to the CPG, the Scottish Government held a national meeting in November with neurophysiologists from around the country to examine the wider issues and try to find solutions. The Minister for Public Health’s office is due to circulate a note of the meeting and some suggestions about potential ways forward. CPG Convenor, Kenneth Gibson MSP recently submitted three parliamentary questions on behalf of the group – one about sodium valproate and preconceptual counselling for women with epilepsy; one concerning morbidity and mortality in pregnant women with epilepsy and the need for joined up care; and one about the lack of paediatric epilepsy specialist nursing in NHS Dumfries and Galloway.